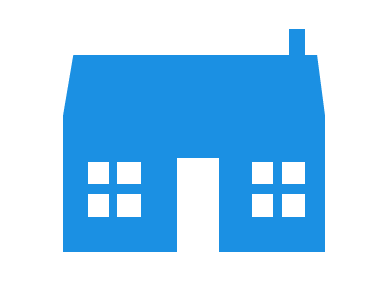 Adrian Flux is one of the leading home insurance brokers in the UK comparing multiple insurers to find high quality buildings only household insurance cover that matches your precise needs and budget. Buildings only insurance covers the main structure of your home. In the event of fire, subsidence or damage by extreme weather or accident, your buildings insurance policy will cover you for the expense of rebuilding or repair. It can also cover permanent fixtures inside your home and external features such as outbuildings, boundary walls and driveways. When you need buildings only insurance cover Adrian Flux compares policies from a panel of 30 insurers to find the right level of cover for you. Cover can be provided for different usage, whether the property is lived in by you, let to tenants, used as a holiday home, unoccupied, has listed building status or if you have multiple properties. Some of our policies automatically include £2m Property Owners Liability and optional Legal cover. If money is tight it's easy to think about cutting back on your home insurance, but it's a false economy – a single major claim could cost you tens or hundreds of thousands of pounds. Huge savings are possible by shopping around, or by calling a specialist broker such as Adrian Flux who will do the hard work for you. Our knowledge, experience and policy comparison tools enable us to to offer personal premiums and the most suitable insurance for your needs. For a Quick & Cheap Buildings Only Insurance complete the call me form (9am to 7pm Monday to Friday & 9am to 4pm Saturday) for an immediate quote.